(2016) To fund a complete upgrade of Ashoka Credit Union’s old HTML website by converting it to an elegant WordPress theme. 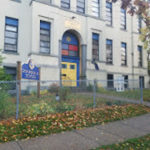 This conversion will allow Ashoka to have direct control over content and align ourselves in mark and name with our field-of-membership, the Shambhala Community, as we celebrate our 40th anniversary as a conventional financial institution within Shambhala’s recently established Pillar of Economy. 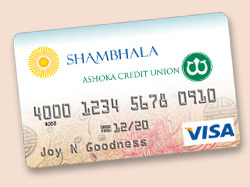 Unveiling a website that is technically modern, mobile-sensitive, has blog and podcast capabilities, and announces us as the Shambhala Credit Union — using the hallmark sun and sky Shambhala logos — is a much-needed, long-awaited foundational move towards properly reintroducing Shambhala’s credit union to its community.